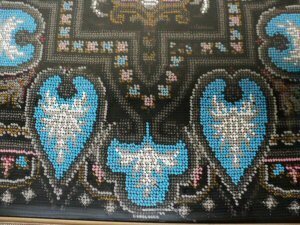 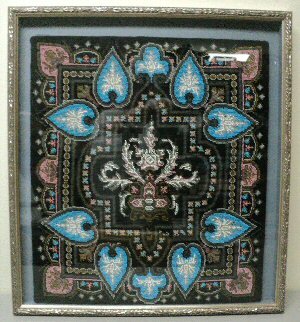 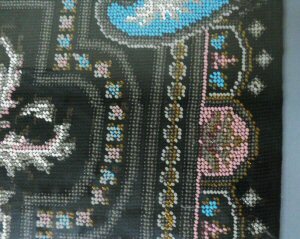 Fabulous 19th Century Victorian Period beadwork and needlework panel embellished with glass beads, c. 1870-1880. 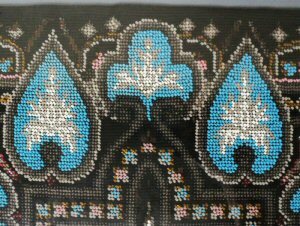 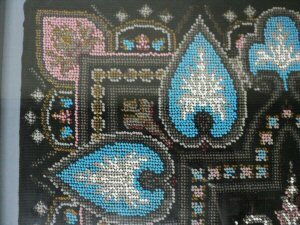 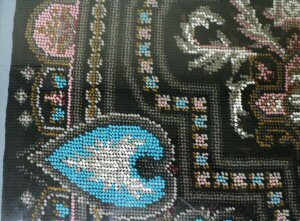 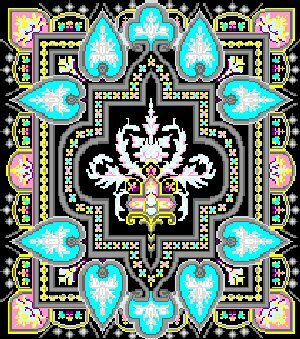 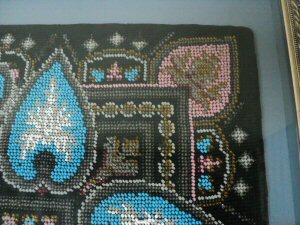 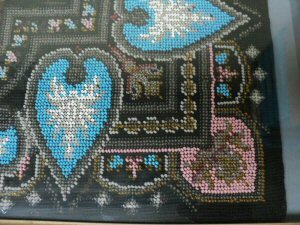 The beadwork has a black wool background with beautiful coloration in the decorative glass beads featuring turquoise, gold, white, silver, clear, bronze and pink. 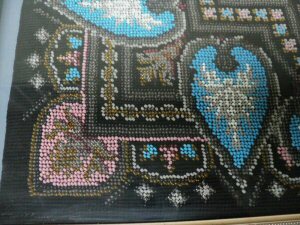 20 inch long and 17 3/4 inch wide. 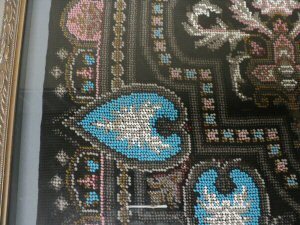 Permission to reproduce images by ebay seller antiquesandmooresales. 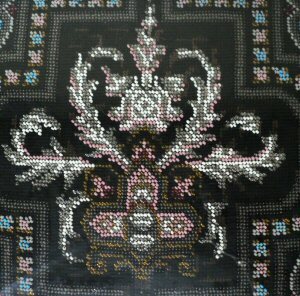 Pattern reconstructed with slight corrections by Sytske Wijnsma.